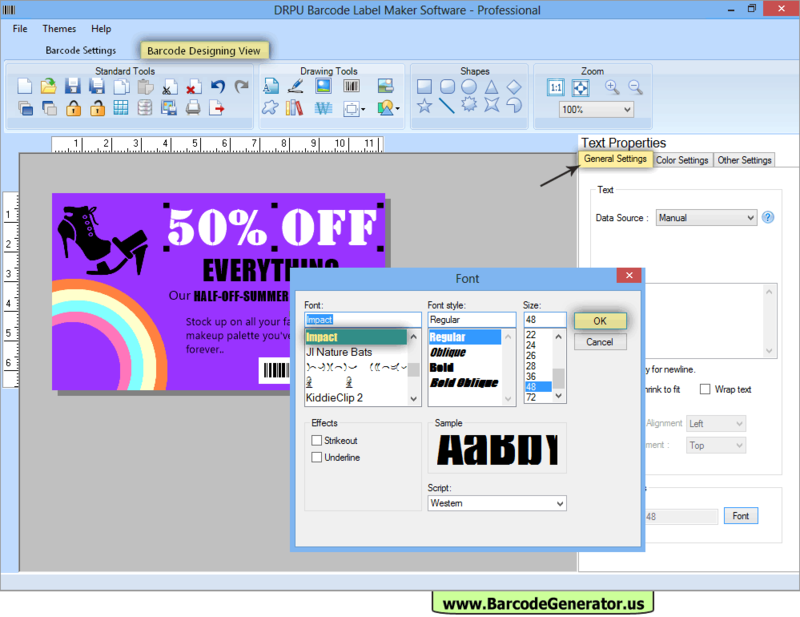 You can change font setting of 'text' written on your label using Text Properties. 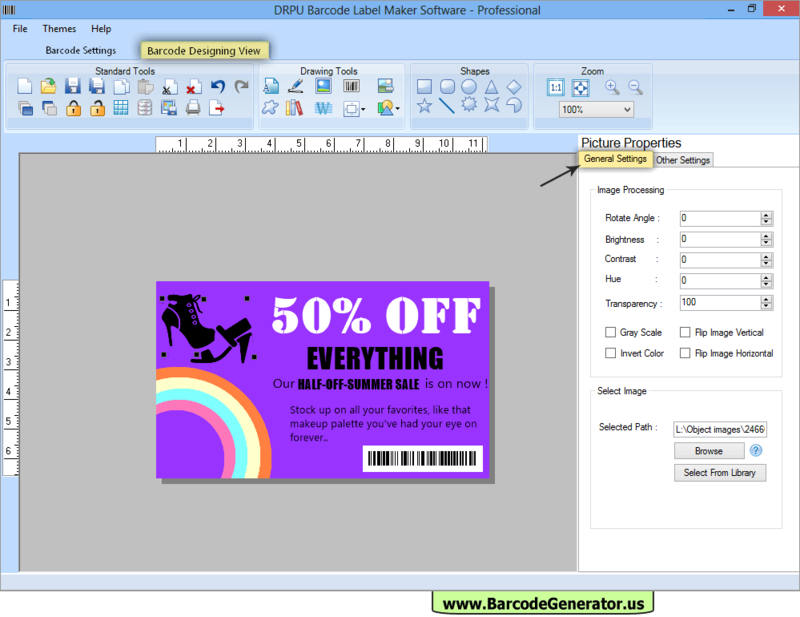 Add images on your label using Picture Properties by browsing the path of that image. 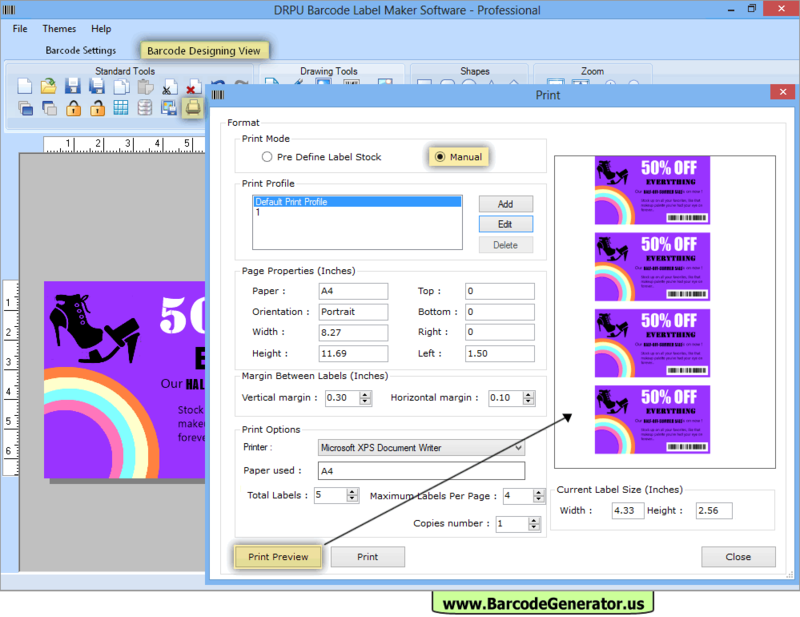 To print your barcode labels, Choose print mode either Pre Define Label Stock or Manual, then set page properties and print options. Now, Click on print button.